Can a children's cartoon cause riots? 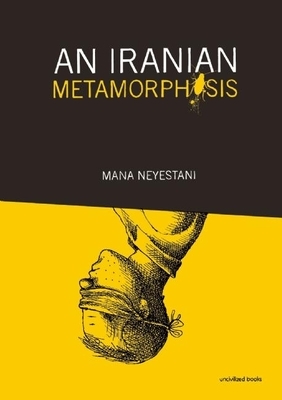 One of Mana Neyestani's cartoons sparked riots, shuttered the newspaper he worked for, and landed the cartoonist and his editor in solitary confinement inside of Iran's notorious prison system. But that's not the whole story. Neyestani exposes the complex interplay between art, law, politics, ethnic sensitivities, and authoritarian elements inside of Iran's Islamic Republic. In his journey to escape imprisonment, the artist travels from Iran to Dubai, Turkey, Malaysia, all the way to China. Along the way he shines a light on the dangerous and convoluted measures taken by refugees in their attempts to find safety and freedom. Mana Neystani's story is at once unique, universal, and truly Kafkaesque. "There is always that risk, that possibility, that the authorities will find a political dimension to your drawings." --Mana Neyestani for Le Monde. Mana Neyestani (b. 1973 in Tehran) is an Iranian cartoonist and illustrator for economic, intellectual, political, cultural, and professional magazines. He is particularly known for his work for the newspaper Zan and Persian language Radio Zamaneh. He is the recipient of the 2010 Cartoonists Rights Network International Courage Award in Editorial Cartooning. He lives in France.